A unique course to learn how to teach Tantra/Hatha Yoga, Pranayama and Meditation. 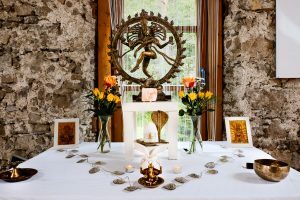 This 200hr Yoga Alliance internationally certified course will further deepen your practice and spiritual development by offering the ancient Tantric practices of fire ceremony, yantra & mantra meditation. 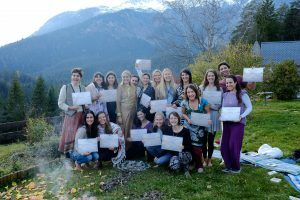 The course is also infused with a devotional teachings and activities from Bhakti Yoga and various themed dance journeys which bring a heart centred approach to the training. The course is supported by an Indian spiritual master who has guided many Westerners in Traditional Tantric practices. 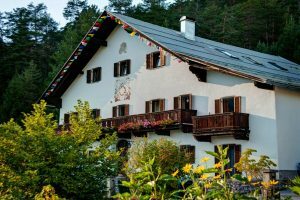 Hosted in the sanctuary of the Austrian Alps this training will take you on a journey of depth into self inquiry, bhakti yoga and holistic living. 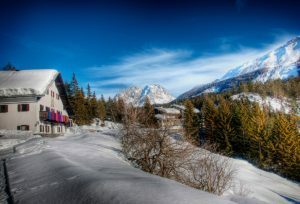 This training is hosted in the heart of the Austrian Alps. 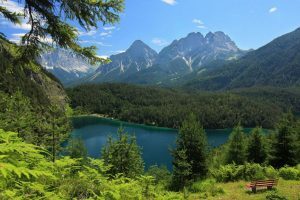 Tirol’s Alps are a true fountain of strength: crystal clear water, lush green pasture lands, picture-book mountains and clean air. 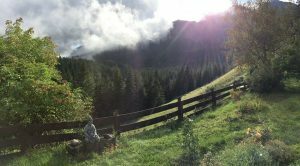 The location is surrounded by breathtaking beauty and unspoilt nature, Tirol is the perfect place for us to explore the depths of yoga. 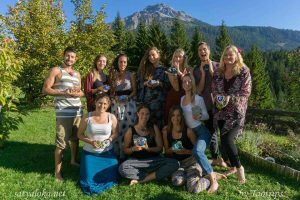 This teacher training course invites students to experience the practice of yoga through energy and consciousness. The main style of yoga taught is Tantra/Hatha Yoga. The practice holds asanas for longer periods to experience a deeper energetic activation and opening of the body. This creates a practice that is both yin and yang and is therefore suitable for many students. During the course you will be taught practices from the Traditional Tantric practices of India. This includes fire ceremony, working with the science of Yantras (mandala) and Mantra meditation. These teachings are taught in a devotional way to combine the science of tantra with the path of the heart. The course is a sacred journey into the ancient arts of Yoga, and is supported by Guru Ji Raj Kumar. During the training we will also study cleansing kriyas and pranyama to purify the mind and deepen our ability to be centred and present in life. Regular devotional singing of kirtan and Hridaya meditation will give you a personal opportunity to open the energy of the heart. The theory elements cover many topics always including Yogic Philosophy and ancient scriptures such as Patanjali’s Yoga Sutras and an introduction into the Ribhu Gita and Devi Gita of ancient India, ayurveda, anatomy, sacred sexuality. 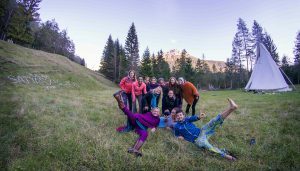 A glimpse into the world of Satya Loka's Yoga & Tantra trainings at the AlpenRetreat in the majestic Austrian Alps. Our next course is 16th September – 13th October 2018. The practice can begin with devotional Sun Salutations or simple warming exercises and leads into a chakra-inspired standing sequence, which can be also be practiced by linking the breath with movement. Later in the practice as we move towards the seated asanas we hold some postures for longer and the approach becomes more meditative and internalised. The internalised practice focuses on holding some asanas for at least two minutes to discover and cultivate the energetic qualities of a posture as well as the physical benefits that occur from a longer and more strengthening hold. We also encourage moments of stillness and contemplation in between the asanas to allow the body and energy to integrate the effects, this can be described as moments of void in which a meditative state can arise This can also be experienced during the asana when the asana has become comfortable, steady and the mind is in union with the body, therefore we teach modifications for all the postures so that a comfortable seat can be found by everyone. Our style of Yoga can be adapted to all ages, genders and body types because it is a practice that includes and goes beyond the body. At Satya Loka we inspire you to find your own style of teaching, you expereince up to three teachers on each training so that you can enjoy to learn different approaches and flavours. So whether you.choose to teach more physically orientated yoga or more in the spirit of Tantra Yoga, applying vinyasa movements or more of a meditative yin style, we will help you to discover where your strengths lie s a teacher. The practice of yoga asana brings profound and innumerable benefits to the physical body however the ultimate aim of all the asanas is to help us sit comfortably in meditation. Each day of the course we will enjoy the opportunity to practice and study asana with this goal in mind; and as we move through the postures we can naturally feel the quietening of the mind and deeper states of peace arise. We will learn how to move our own body in a way that is safe and healthy for the joints, soft tissues and bones and will experience how this strengthens and creates more space and openness within the body and energy system. Once we understand this in our own being we are then able to truly support our students’ alignment and yoga practice. This class will also look at the energetic flow within the asanas and how to maximise and stabilize this. Tantra is a spiritual path that embraces life in order to awaken consciousness. Within Tantra Yoga various techniques including the use of mantra, yantra, ritual and meditation are used to purify and energise our being bringing a deeper awareness of our spiritual existence. Tantra cultivates a devotional approach to the practice, emphasizing the worship of the Goddess, Shakti and her consort Shiva. As we go deeper into the practice we ultimately experience the divine union of these masculine and feminine attributes. Mantra is offered and can be practiced each day in the presence of a yantra (mandala) which is created in the first week of the course. A mantra is the sound form a particular energy; specific sounds, words or phrases are repeated. By practising the repetition of mantra either by verblising the sound internally or externally we commune with and invoke the beneficial energies specific to the mantra. Mantra is an important tool used in many spiritual practices and can even be combined with the practice of yoga asana. The yantra is a geometric, design which can be focused upon as a tool for meditation. The different geometric patterns symbolically represent different aspects of divinity. On this teacher training we will create and meditate with a yantra for Shiva made from sprouting wheat grass,, and later we will create three coloured rice yantras of Saraswati (goddess of arts, music and education), Parvati (Shiva’s wife), Suriya (the sun). A Fire Yagna is a sacred fire ceremony. Offerings of ghee (clarified butter) are thrown on to the fire whilst reciting mantras to honour aspects such as the cardinal directions and particular energies of the Hindu and Yogic traditions that support the success of the ceremony. 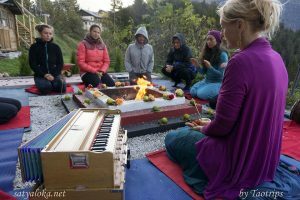 Special herbs or rice, sugar and sesame seeds are further offered to the fire with a specific mantra depending upon one’s personal sadhana or the group intention. 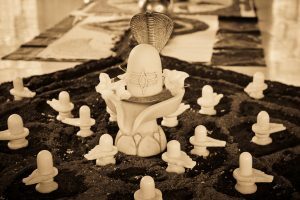 Fire Yagna is a highly purifying spiritual practice that enables us to commune with different energies of Shakti or Shiva, energies that raise our awareness and consciousness. 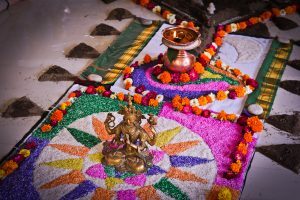 Bhakti Fire Puja is a combination of a Tantric and shamanic fire ceremony. 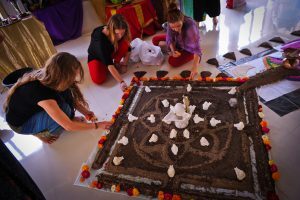 It is a beautiful ceremony of devotion that combines elements of a Tantric Fire Puja with a spontaneous flow of bhajans and prayer. Traditional Vedic mantras are used that elevate consciousness and bring a deep communion with inner most truth. Pranayama can be translated as the expansion and increasing of our vital life force. We absorb Prana (life force) most directly through the breath and through our food. In the pranayama exercises of Hatha Yoga we make use of this by manipulating the breath – breathing into different areas of the body, using specific rhythms and movements. We learn to hold the breath in to energise our system and to increase our capacity to store Prana; we hold the breath out to direct the energy in the subtle body with the ultimate aim of purifying both body and mind. The rhythmic breathing exercises of the Hatha Yoga tradition are strong practices which bring profound benefits: they purify the nadis (energy channels) of both the physical and subtle anatomy releasing blockages and stress and helping us feel a greater sense of balance and steadiness. Pranayama is an important step on the journey of yoga as it helps expand the individual personal energy into universal energy. Ayurveda is the sister science of Hatha Yoga and offers a profound system of self-healing. 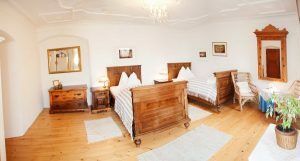 In the TTC we will draw on the Ayurvedic teachings offering ways to eat and cook that maximise our intake and absorption of Prana. We will teach ancient yogic practices used to promote a healthy body and energetic system such as nauli kriya for intestinal support and neti for clearing the sinus passages. Furthermore we will offer detoxifying practices such as oil pulling, salt rubbing and tongue scraping for healthy gums as well as other tips and techniques. During the course we practice Hridaya Meditation, a technique which focuses continually upon the Spiritual Heart as a way to reveal deep inner peace and the natural joy that emanates from our natural state. The teachings are a beautiful unity of Advaita Vedanta, Sufism, Buddhism and Kashmir Shaivism. 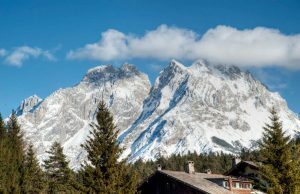 Central to the practice is the self-enquiry, ‘Who am I?’ and continually bringing the awareness back to the spiritual heart, which can be sensed by focusing at the centre of the chest near the physical heart. We will also have the opportunity to experience Hridaya Hatha Yoga where we aim to remain present and witness our asana practice from beyond the mind, from the stillness that lies at the core of who we really are. Kirtan is an ancient form of Bhakti Yoga, the Yoga of devotion. When we chant Kirtan we use special mantras. Mantras are words, phrases, and syllables that are repeated until they become integrated into our consciousness. Many people are discovering this sacred, traditional practice allowing them to access a greater opening of the heart, deep inner peace and connection. When we give ourselves permission to sing and dance freely, releasing and expressing through our voices and bodies, the emotions which are tightly locked in our hearts become free. This takes the practitioner into a blissful state of openness and love and it is in that moment that we remember Kirtan is an offering, a gift to the Divine who has given us everything, and to whom we can give nothing in return but our loving remembrance, our voices and our hearts. Group activities are an opportunity to deepen the inter relating of the group. As teachers it is also useful to learn various ways to hold space other than a standard Yoga class.